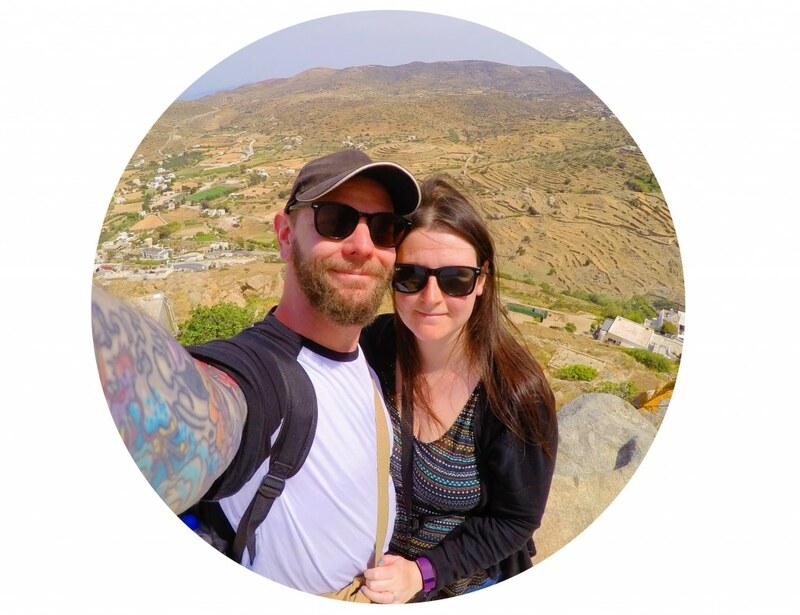 You are here: Home / Blog / I love tea! 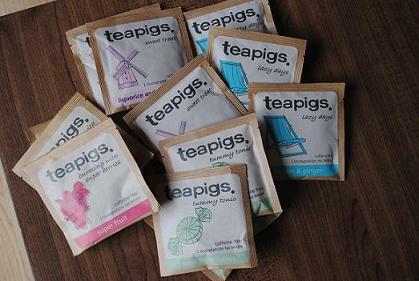 Today I received some amazing tea samples from teapigs through the post to review, so I thought I would share with you my thoughts. I love tea – that is no secret. Being an emotional eater, tea helped me a lot. It took me a long while to identify what was a real hunger feeling and what was hunger out of boredom or anger. When I knew that I was not actually hungry, I needed something that would stop me eating anyway and tea was a big help. It started off with just regular English tea, then I went onto green tea. I soon got bored with have 4 or 5 cups of those a day, so I went in search of other teas. When I actually looked at the tea aisle in the supermarket, I was amazed at all the different types of fruit tea you could buy, so I bought all of the flavours that caught my eye. After tasting them all, I was a little disappointed. They hardly had any flavour. You could taste a slight fruitiness, but that wouldn’t last long. So, to be honest, I didn’t have much hope that teapigs would be any different. I was so wrong. 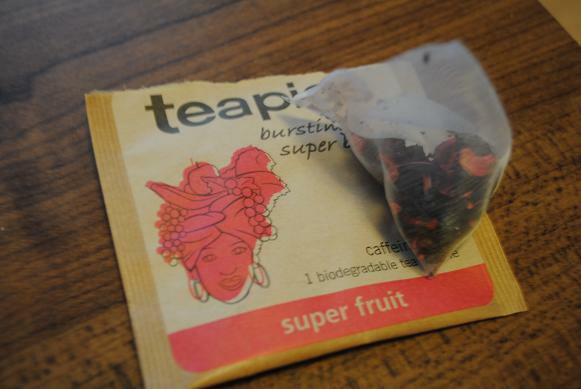 These little bags of fruitiness pack so much flavour and don’t leave a funny after taste like so fruit teas do. I should note that they do other tea apart from fruit tea, but when asked, I requested fruit tea as that was my favourite. I have heard a lot of good things about the matcha tea though! I got sent some super fruit, lemon and ginger and liquorice and mint. I have tried them all today and I can honestly say that I can’t pick a favourite. The super fruit one is great if you are wanting something sweet, the lemon and ginger is nice and cleansing, the peppermint is amazing for any kind of digestive problems and the liquorice and mint is really refreshing. They are all caffeine free too – which is perfect for me. As well as being super lovely to me, they are being lovely to all of you too by offering a discount code on their teas just for you! You get 15% off* at www.teapigs.co.uk using the code BLOGGERS12. The discount does not apply to gifts and deals, but you can use it for lots of other great tea stuff. They also have a petition going to get more cafes, hotels and restaurants to start serving whole lead tea and to stop selling the usually crappy tea bags. I probably drink about 5 cups of caffeine free tea a day. 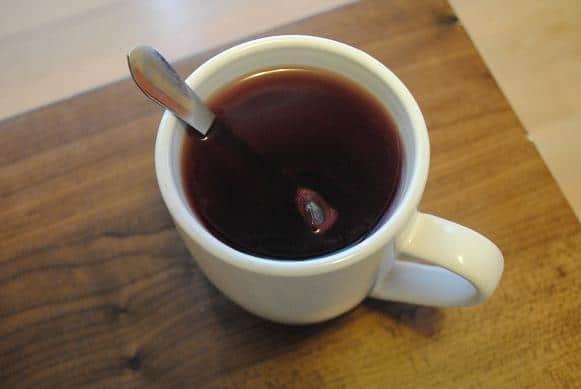 It is a great way for me to get my water in, without just drinking plain water and when it is winter (or a cold summer day), a tea is a perfect warming drink. In other news, I finished week 2 of the Couch 2 5K program today. Last time I attempted it, I finished week 4 and at the moment I have no idea how I got that far. It is not the running part I find that difficult (although it is by no means easy), it is boredom. The treadmill at the gym has a TV on it, and I have music too, but I am still counting down the minutes until that section of the run is over, because I just find myself getting bored. I am hoping it is just because I am just on this program and when I can actually run a 5k that is will be different. Running is great for clearing my head though, so I will stick with it. I just can’t imagine myself being able to run a 5k. But then again, 2 years ago I could never imagine myself not being overweight. I don’t have any samples I’m afraid.